Tonight my boyfriend and I are going to see Kodo at the theatre. We've already seen shows of Yamato and Tenko, so I'm very curious about this show. 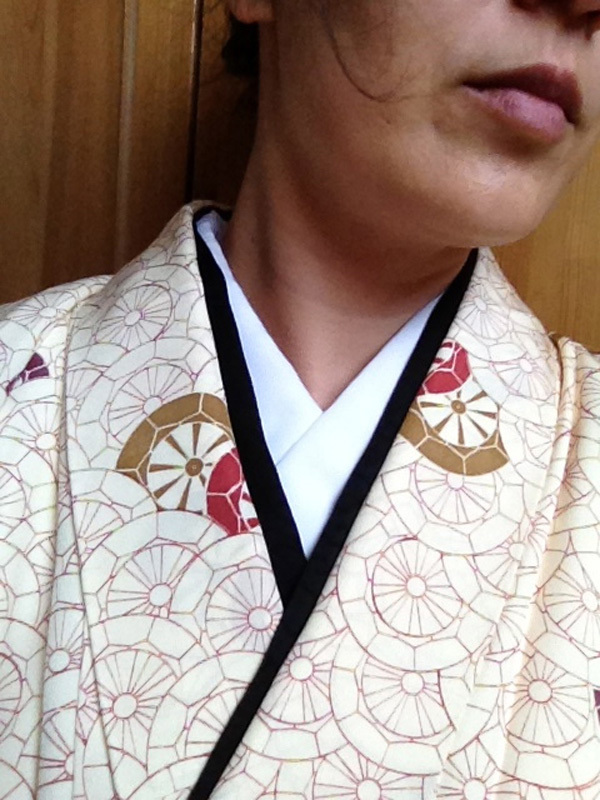 You've already seen my outfiton one of my dummy, but I've actually never worn this kimono. But instead of the big red shibori obiage, I've picked a pale pink with bits of shibori (a gift from Misuchi). And, just as used on the dummy, a black obi age used as a date eri (tips about putting a date eri between a juban an kimono collar are most welcome ^_^). Nice touch with that black "han-eri"
Yes, it was a wonderful show. They played a piece which sounded like a little bit of rain that turned into heavy heavy rain, and the big taiko.... I love the way you can feel that big taiko in/through your body.